Many first-time cruises ask me, can you get seasick on a cruise ship? The answer unfortunately is yes, you can feel seasick on cruise ships. I have a few tips on how to avoid seasickness on a cruise. This post should show you how to stop motion sickness from ruining your cruise vacation. When I went on my first cruise I was very worried about cruise motion sickness so I did a lot of research on how not to get sea sick, how to prevent seasickness symptoms through medications & other things and how to how to avoid sea sickness on a cruise by choosing the right cabin and deck. If you’re prone to it, knowing how to prevent motion sickness in advance is essential if you’re headed off on a cruise. 3 What about post cruise motion sickness? Especially if there is your first time cruising and you know you are prone to motion sickness, cruise itineraries with fewer sea days will be better for you. Being able to get off the boat every day and explore a port will no doubt be a blessing if you do feel seasick on board. Picking the right cabin on the right deck is essential for preventing seasickness on a cruise. If you’re prone to motion sickness and worried about motion sickness on a cruise then these two tips are crucial for you. The best deck on cruise ship for motion sickness sufferers are actually the lower decks of the boat, closer to the water line. Again, these decks are more stable and you’ll feel less of the ships movement. Choosing a room with a balcony is ideal if you’re worried about feeling motion sickness on cruise ships. A balcony cabin allows you to get fresh air when you need it and see the horizon out the window which can be calming if you’re feeling cruise seasick. At the very least choose a window cabin if your budget doesn’t allow for a balcony. Never choose an inside cabin if you’re worried about cruise ship motion sickness. Being in an enclosed space is the worst thing if you’re feeling sea sick. The best thing for motion sickness on a cruise is to be able to see the horizon and feel fresh air. If you have booked an inside cabin and are feeling unwell, spend as much time up on deck as possible. Here are some tips on the best motion sickness medicine for cruise and other things you can bring along that may help prevent motion sickness on a cruise. 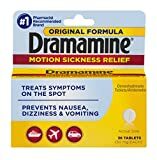 Dramamine – Dramamine is an over the counter medication that prevents and treats nausea and vomiting associated with motion sickenss. I think it is the best medicine for seasickness on cruise. There is also Dramamine for kids. You should check with your doctor before you take Dramamine yourself or give it to your children. 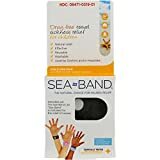 Seabands – Seabands are wrist bands that apply pressure to accupressure points on the wrist that are said to help nausea and vomiting associated with motion sickness. They actually work great for me and I often see people wearing them on a cruise. I think they are probably the single best way to prevent seasickness on a cruise. There are also Seabands for kids. 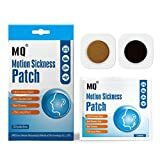 Motion sickness patch – On our last sailing I saw many people using a patch for motion sickness on cruise ships. It looks like a little sticker you put up behind your ear. 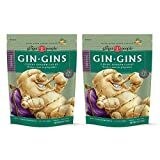 These ones are a herbal version. You can also get a motion sickness patch containing Scolpomine with a prescription from your doctor. Ginger chewing candies – Ginger is one of the most useful foods to consume if you’re feeling nauseated or seasick. 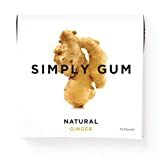 These ginger chews are a bit fiery tasting but quite yummy and can really help calm the woozy feeling.Ginger chewing gum also works. Essential oil blend for motion sickness – This is one of the best remedy for motion sickness on a cruise as it really helps calm the senses. Being tipsy can make you feel the effects of the cruise sea sickness even more so. At least on the first day, try not to drink too much. Wait until you’ve got your sea legs and know how you’re going to feel on the ship. Seasickness can feel much worse when you’re on a smaller vessel like a yacht or glass bottom boat so avoid taking shore excursions that involve being on another boat. Use your port days to gain your equilibrium back if you’re prone to seasickness. Stay up on deck and get plenty of fresh air! Get plenty of fresh air if you are feeling unwell. The best place on a cruise to avoid sea sickness is up on deck. Avoid going to your cabin to lie down as it honestly won’t help. Look at the horizon and try and stablise your head from spinning. Take the preventative medication, wear the sea bands & patches, chew ginger candies and try the essential oil blend. If you’ve packed all these items and are feeling unwell, use them all to try and help calm your seasickness on cruise ships. Drink plenty of water, eat light and avoid alcohol. What about post cruise motion sickness? You can feel a bit funny a few days after coming back on land, as if you’re still on the ship. The same motion sickness remedies should work to calm any nausea or dizziness associated with this feeling. It usually goes away on it’s own after a day or two. Please note I am not a medical professional and this post is just my opinion based on what works for me. Seabands didn’t work for me when I was pregnant – I guess no cruise for me. Haha.